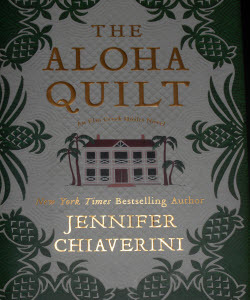 I love to quilt, so naturally I picked up one of my favorite author, Jennifer Chiaverini, and her next quilt-themed novel, The Aloha Quilt. Melding together two of my loves, Hawaii and quilts. What could be better? This story is about Bonnie Markham.She is facing one of the bleakest points in her life when her friend, Claire, contacts her to invite her to spend the winter in Hawaii and help her start a Hawaiian version of Elm Creek Quilts. So, with nothing better to do, off she flies to Hawaii and to adventures unknown. Little does she know it is about to get even more exciting. 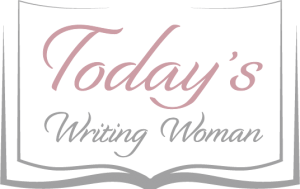 Bonnie must deal with her cheating, and soon-to-be ex-husband, her children who want her to get back with their father and the blossoming feeling she has for someone new that she meets while there. Jennifer Chiaverini does a wonderful job at intertwining the folklore, culture and quilting aspects to this story. I have to admit it is probably my favorite story thus far. More than likely it is due to the fact that I have been to Hawaii and have made that connection. If you're a following of the Elm Creek Quilts Series, then this is definitely one to add to your collection. I highly recommend reading it again and again, just like all the other books in the series.